I’d only met him once, after a show at The Basement on 8th Avenue, where he performed before Sam Bradley and Marcus Foster and completely stole my heart. Any other knowledge I had of his appearance came through professional photographs on his website. Anderson East is magnetic on stage and sultry in pictures, and I had absolutely no idea what to look for when meeting him without his cloak of professionalism. I watched everyone around me, wondering if I’d miss him. A haircut, a new pair of glasses—anything might have made him unrecognizable. And then he arrived, wearing the last thing I expected—humility. From his bio, I learned Anderson is from a small town that doesn’t offer a lot of musical opportunities. As this is something we have in common, I led with that. Turns out his grandfather was a minister in his hometown of Athens, Alabama, so Anderson got his start where a lot of musicians from small towns gain experience: in church. He doesn’t deny gospel plays a big part in the sound he produces today, though it’s changed and grown through the years as he gained more experience. “My mom played piano in the church,” he says. “Played for years and years, since before I was born, so I grew up hearing her play.” He didn’t pick up the piano first, however. As he explains, “One of my best friend’s older brother got a guitar at a yard sale, and I thought I wanna play guitar. So, my grandmother bought me one from Toys ‘R’ Us when I was eight years old.” That’s what he played until he was ten years old, learning the James Bond Theme Song and Hotel California from the guitar teacher at a local music store. When Anderson’s father recognized the talent, he bought his son a Telecaster from a friend in the hopes of encouraging more serious learning. Anderson, it would seem, never looked back. His recently released Flowers of the Broken Hearted contains evidence of this humble start. Half of the album has a definite rock flavor, but if you pay special attention, you’ll hear hints of the country and gospel music he grew up with in the other half. This is especially apparent in Tennessee Women, which calls to mind the golden age of country with a weeping slide guitar and a two-step feel. Memento, though filled with creative chord structures, also has a distinct Nashville feel. The vocals will bring chills, though he doesn’t seem to push for that effect. Anderson simply has a deceptively powerful voice that he keeps leashed until the lyrics call it out to play. Flowers of the Broken Hearted is already reaching new listeners, and it’s only been out since September 17. The title track is filled with soul and clever guitar licks and snappy background vocals, but the true star is Anderson’s salted caramel voice. He doesn’t shy away from a rough edge here and there, ready to dirty up a gorgeous gift for the right effect. On top of the musical fun, we get some intelligent lyrics. How would you feel if you saw your significant other receive flowers from an ex? This song tells you exactly how Anderson felt, and it might not be what you expected. When he applies that unmatched voice to a ballad, the effect will rip your heart in two. In Ghost, he whispers sadness and loss, accompanied by the barest piano chords, but slowly moves into a stronger, fuller sound that fills the senses. When he finally unleashes the voice, chills erupt. It’s such a thrilling encounter, planned and executed to perfection. Since that first recording, he’s honed his keen music sense and now produces albums for some pretty well known artists, including The Vespers. He’s also worked with some of the hottest in the industry on his own tunes, like Chris Seefried, the producer for Fitz and the Tantrums. You’ll hear this attention to detail from two very gifted producers on every moment of the album, all made even greater by the musicians who joined him in the studio. Don Heffington played for Bob Dylan, Charlie Gillingham recorded with Counting Crows, and Rob Wasserman joined Lou Reed in the studio, and all gave of their time for Flowers of the Broken Hearted with East. He shows enormous appreciation for his audience, especially here in Nashville. “In a town that’s known for music, and Nashville is a music town, eighty-nine percent of the people showing up to listen are in a band that’s performing the next night. It’s easy to get cynical, because you can go out any time, anywhere in Nashville and see someone, where in a small town, it might just be one place and one guy. In those smaller places, you don’t have as much to grab onto, so when you do find something, it’s really precious. Here, it’s like everyone’s come from those little towns where they were the greatest, and people in Nashville are looking for something more. But when they see it, they perk up. They recognize it. I’ve been to a few shows where I just thought it was magic. Just undeniable. I think that’s what we’re all looking for here, and when it happens, it’s amazing.” Anderson admits that attitude makes him try harder, to reach for the applause and recognition of a Nashville crowd. 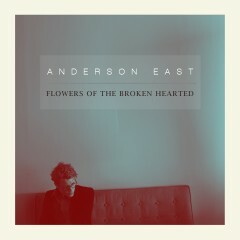 Flowers of the Broken Hearted is a fan-funded album, which means it wouldn’t exist without the loyal listeners Anderson East has already won. The album wasn’t meant to be two full discs, but things changed in the studio. He headed to Los Angeles to record the first half of the album and returned to Nashville pleased with the results. It was only after he began the mixing and production that he decided to add more tracks. The irony isn’t lost on Anderson that the country-colored tunes were created on the west coast, either. The rock and soul sounds were the Nashville additions to the record. 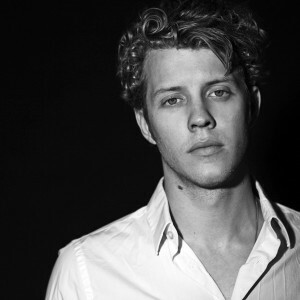 If you’re interested in learning more about Anderson East, you can find him all over the place. His album is available for purchase on iTunes, Amazon, and his website. The official video for the title track was just released yesterday, and you can also see that on his website and on YouTube. He admits to using copious sarcasm on his Twitter account, giving one more dimension to an already well-developed entertainer. You’ll enjoy his work if you like Ryan Adams, Ray LaMontagne, Jamestown Revival, and Marcus Foster. You have worked so hard for this Mike and I’m so proud of you!! I still have the original CD you made me in dads basement!! Haha I have to Deff. Say that this article is amazingly powerful!!! You have such an awesome talent and I feel blessed that you share it with us!!! Love you bubba! Great interview! I, too, discovered Anderson opening for Sam Bradley/Marcus Foster at The Basement and he stopped me dead in my tracks. I’ve been a huge supporter since that moment.